Working from home has it’s upsides. There’s no commute to work, you don’t need to iron a shirt and present yourself and you could put a load of washing on while you fiddle with a spreadsheet or decipher a client’s email. But there are downsides to. The work / life balance can become a little disharmonious if you get used to working from home as you convince yourself that you’ll only spend another 10 minutes or so on a problem before you put the dinner on. If you’ve decided that it’s right for you, find out how to ask to work from home. Your request to work from home could come as a major surprise to your boss so don’t walk in on a Monday morning and declare that you could do your job better from home. Find a reason why it’s best to work from home and then talk about doing so for one day a week. Friday is the best day to do this as people tend to be a bit more relaxed at the end of the week. You’ll need to make sure that you can accomplish your job from home so your house needs all the requirements necessary. Obviously you’ll need a great internet connection so that your firm can keep in touch with you through email and messenger services so if you live in some small backward village that’s only just been hooked up to the worldwide web, think twice before approaching your manager. 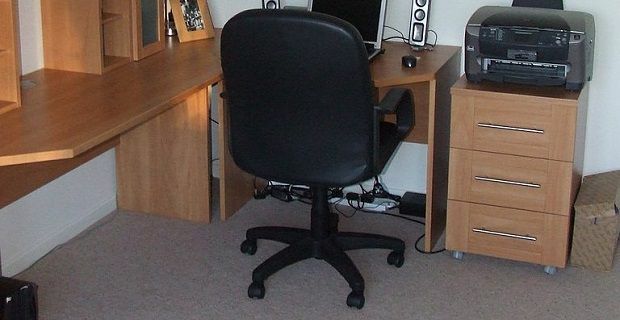 You need to make your boss aware that you’ll be more productive if you work from home. It’s a good idea to commit to working the time you would otherwise have spent commuting. This won’t cost you any time but it’ll give your firm more. When you’ve got your way and you’re working from home make every effort to make sure it works. Always answer the phone when your boss calls. Don’t leave too much time before you reply to emails and schedule conference calls and online meetings, if they’re called for in your job, so that management know what you’re doing.